Glaucoma is known as the “silent-thief” of sight because it steals your vision often without warning signs or symptoms. In fact, nearly two and a half million people have glaucoma, and more than half don’t even realize it. Glaucoma is a disease that damages the optic nerve. Like a cable wire, the optic nerve is responsible for carrying the images from our eyes to our brain. Damage to the optic nerve can occur when the pressure within the eye increases, usually due to a Led by Dr. John Berdahl, Dr. Michael Greenwood, and Dr. Russell Swan, the experts at Vance Thompson Vision provide specialized glaucoma care, working to halt the progression of glaucoma through cutting-edge research, treatment and surgical options. Because everyone deserves to live a life full of sight at every age. build-up of aqueous fluid inside the eye. This leads to the development of blind spots in our field of vision. Without routine eye exams to check the health of your eyes, these blind spots can go undetected until the optic nerve is significantly damaged and a great loss of peripheral or central vision has already occurred. Not every type of glaucoma is the same or will have the same impact on your life. If you have been diagnosed with glaucoma, please familiarize yourself with the different types of glaucoma below. 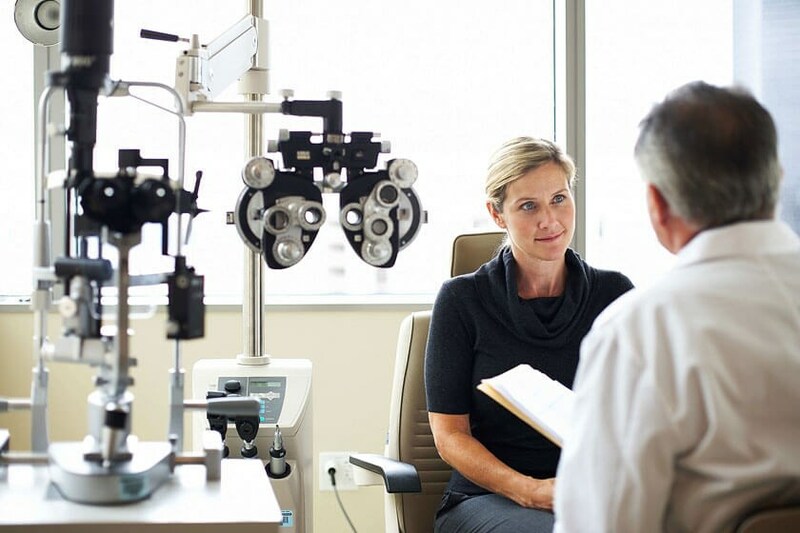 The specialists at Vance Thompson Vision are happy to provide additional information regarding your specific type of glaucoma and what it will mean to your life. This is the most common type of glaucoma. The drainage angle (where the fluids in the eye drain) is open but working less efficiently. This inability to drain causes pressure within the eye to rise, which results in a gradual loss of side-vision. This can be likened to an air filter, which gathers dust over time and eventually becomes too laden with dust to work properly. Angle-closure glaucoma occurs when the drainage angle is completely blocked, often by the iris. This prevents any fluid to drain from the eye, causing pressure within the eye to suddenly rise. This extreme rise in pressure results in blurred vision, headaches, severe eye pain and the appearance of halos around lights. With this type of glaucoma, the condition is painless and involves a more gradual closing of the drainage angle. Chronic angle-closure glaucoma occurs most frequently in people of Asian descent. Secondary glaucoma progresses very much like chronic open-angle glaucoma, occurring when scar tissue or pigment blocks the drainage angle. The first symptom is a loss of side-vision. Pseudoexfoliation glaucoma and pigment dispersion glaucoma are examples of secondary glaucoma. Congenital glaucoma is a rare birth defect affecting the drainage angle. To prevent blindness, this condition must be treated shortly after birth. Symptoms include enlarged eyes, a cloudy cornea, light sensitivity and excessive tearing.